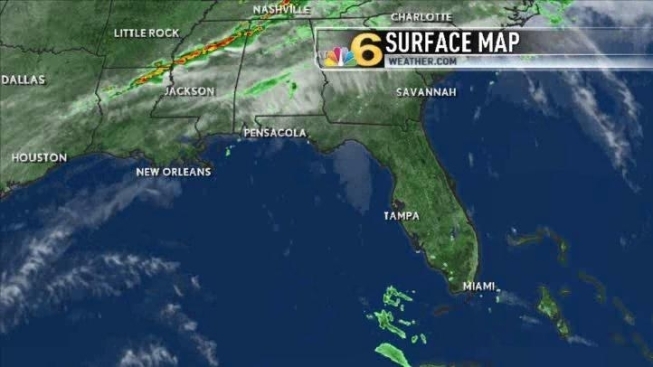 Showers surprised more than a few folks on Wednesday as winds converged over the southeast coast of Florida, helping rain clouds grow and wetting the pavement in more than one community. While we’ll keep spotty showers in the forecast, they’ll be limited to the nighttime hours Wednesday and Thursday, allowing for plentiful sunshine for the rest of the work week and into the weekend. It promises to be a warm end of the week as the breeze from the southeast turns to the southwest by Saturday, generating temperatures in the mid- to upper 80s. A cold front is scheduled for Sunday afternoon, and a rain shower is possible late in the day. Then next week will start off windy, with near normal temperatures for early March.